Belyashi are fried buns usually filled with a meat mixture. 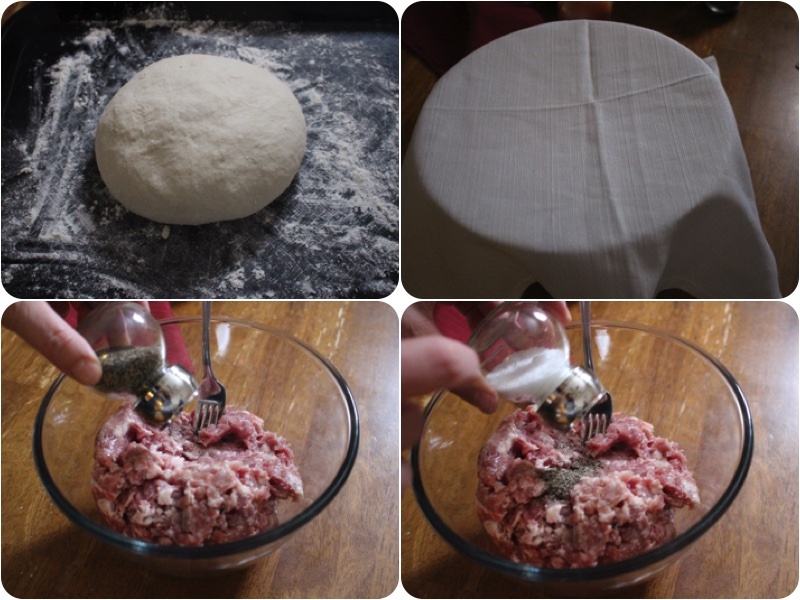 A fluffy dough is stuffed with a juicy meat mixture that should satisfy your meat appetite. 1.) 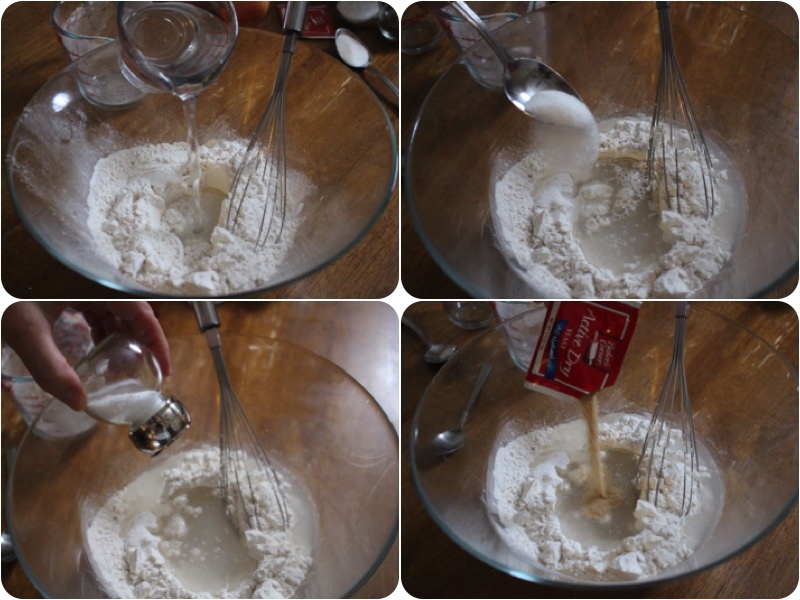 In a large bowl add flour, warm water, sugar, salt and yeast. + Mix well until you make a dough. 2.) Place your on a lightly floured surface and knead until it is elastic and smooth. Place it into a large mixing bowl, cover it with a cloth next let it rise for 1 hour. Also add salt and pepper to your grounded meat. 3.) After uncover and cut your dough into 2 equal pieces. Shape a long loaf from each equal piece and divide the loafs into 15 equal pieces. Shape each piece into a circle. 4.) 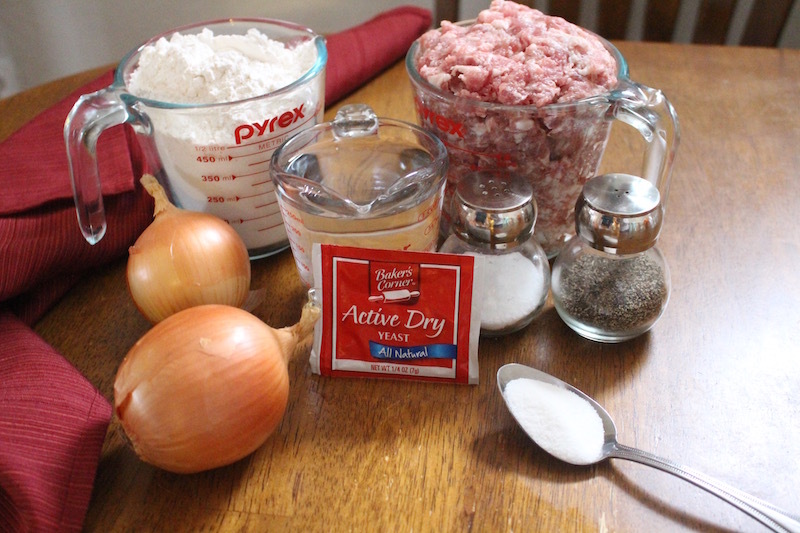 Shred your onions into your meat and mix well, also add a portion of meat mixture onto the top of each circle. 5.) 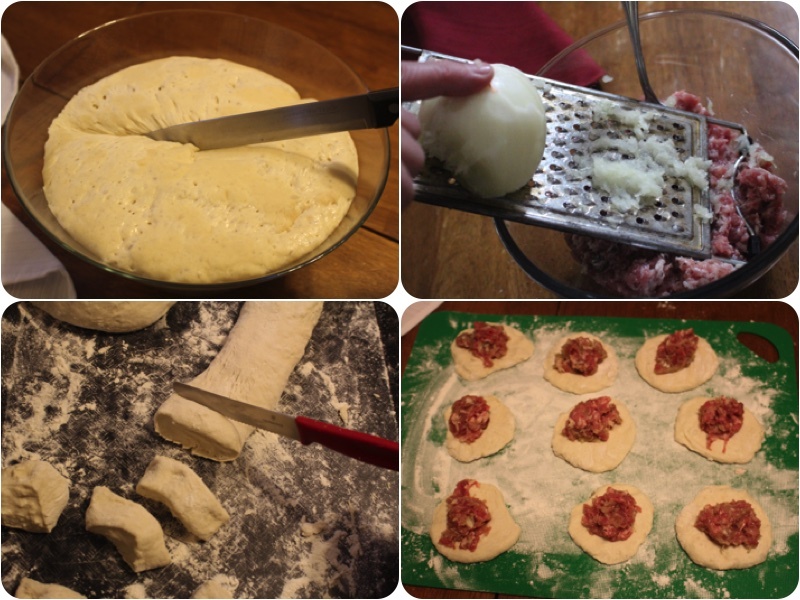 Fold the dough over the meat, with your fingers press the edges togethers. 6.) 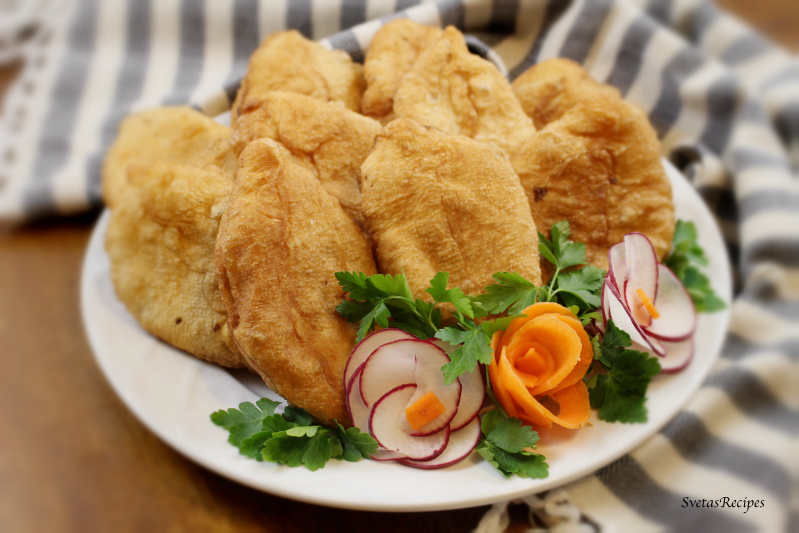 Place your Belyashi into a hot oiled skillet and fry for 4 minutes on each side. After let them cool on paper towel while the drain. 7.) Last but not least place your Belyashi on a serving dish and enjoy! In a large bowl add flour, warm water, sugar, salt and yeast. + Mix well until you make a dough. Place your on a lightly floured surface and knead until it is elastic and smooth. Place it into a large mixing bowl, cover it with a cloth next let it rise for 1 hour. Also add salt and pepper to your grounded meat. After uncover and cut your dough into 2 equal pieces. Shape a long loaf from each equal piece and divide the loafs into 15 equal pieces. Shape each piece into a circle. Shred your onions into your meat and mix well, also add a portion of meat mixture onto the top of each circle. 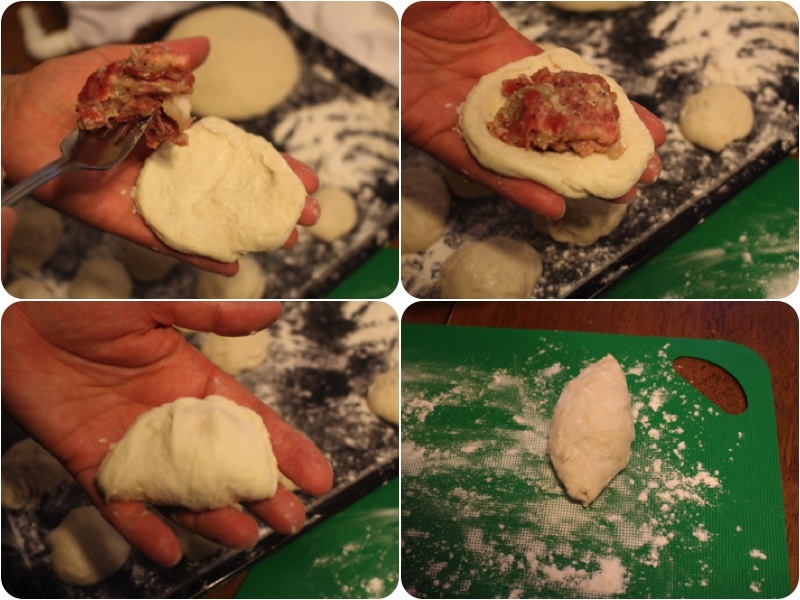 Fold the dough over the meat, with your fingers press the edges togethers. 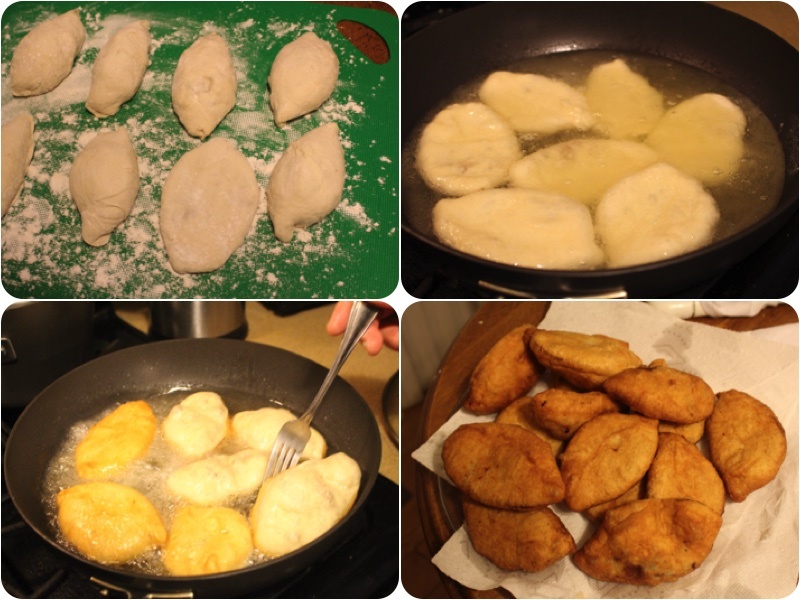 Place your Belyashi into a hot oiled skillet and fry for 4 minutes on each side. After let them cool on paper towel while the drain. Last but not least place your Belyashi on a serving dish and enjoy!